Click below to listen to the Teleconference and scroll down for transcript. Good day, ladies and gentlemen. Welcome to the NTRA Pre-Kentucky Derby Call. At this time all participants are in a listen-only mode. Following the presentation, we will conduct a question-and-answer session. At that time participants are asked to press star, one to register for a question. As a reminder, this conference is being recorded. All right. Thank you Michelle and welcome everyone to today’s NTRA National Media Teleconference previewing the 142nd Kentucky Derby which is now only 11 days away. At this point, the field’s set barring any late defections. Over the next several days the action will mostly be in the morning as all these contenders put in their final timed works, mostly over the Churchill Downs surface. The post-position draw will be a week from tomorrow. That’s Wednesday, May 4 at 5:30 pm Eastern time, and that will be live on the NBC Sports Network. That show will kick off more than 13 hours of racing coverage from Churchill Downs by the NBC Sports group, including Oaks Day and Derby Day undercard coverage on the NBC Sports Network, and then Kentucky Derby 142 of course on the flagship NBC Network. You can find the hours for all those live broadcasts on the announcement that Joan sends out about these teleconferences, so please check for those and we appreciate any time you can mention the TV schedule in your stories or elsewhere, and more importantly the fans appreciate it as well. Also note that our pal Steve Byk is already live from Churchill Downs every morning from 10 to 1 Eastern time on Sirius channel 220 and XM 206 and he’s always got some of the best informed and most high profile guests to keep you up to date on everything Derby-related. There’s also a ton of great coverage from the Horse Racing Radio Network. 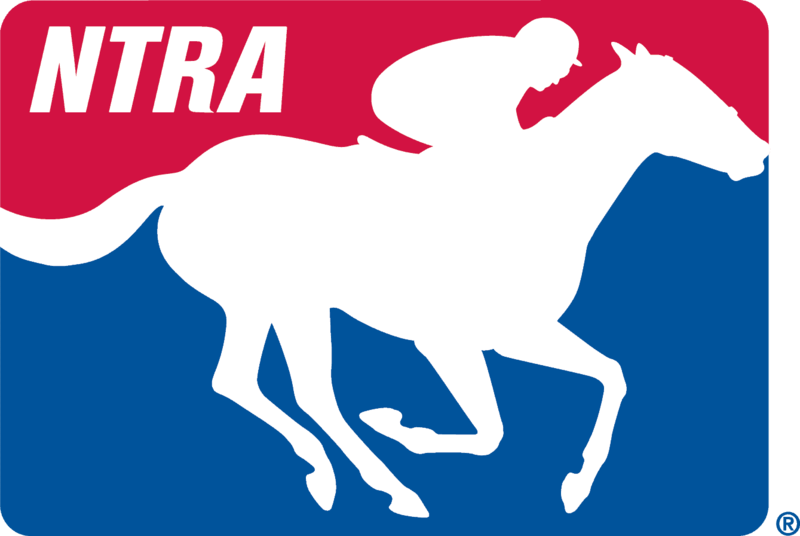 That’s on Sirius channel 220 and XM 206 and archived at horseracingradio.net. Later in this call we’re going to be joined by Kiaran McLaughlin, trainer of Mohaymen, who got positive reviews for his first work at Churchill Downs last week, as well as Steve Asmussen, trainer of the Louisiana Derby winner Gun Runner and Arkansas Derby winner Creator, and just yesterday it was announced that Steve will be inducted into the National Museum of Racing’s Hall of Fame later this year. So we’ve got a ton of ground to cover with those two gentlemen, but first we’re delighted to be joined by the trainer of the Derby favorite. Doug O’Neill has done a masterful job of managing Nyquist. He was the Breeders Cup juvenile winner, the 2-year-old champion and remains undefeated through seven starts, including of course the Florida Derby last time out, and you’ll recall that the Nyquist team, Doug as well as jockey Mario Gutierrez and owner Paul Reddam, they won the 2012 Kentucky Derby with I’ll Have Another. Jim, that was so good. What a nice lead-in, thank you. Well, it’s all fact. You’ve had an incredible run the past several years and we’re always glad to have you on here with us, so appreciate the time this morning. Of course, thank you. As everyone knows, you’re only as good as your horse so just so honored to be representing Nyquist on this phone call and thanks for having me. Of course, and if you’re only as good as your horse then you’re pretty damn good right now. Why don’t you tell us what the vibe is like in the Team O’Neill camp these days? You must be pleased with how he’s coming into this Derby and just tell us how it feels around the barn. You know, we’ve got a really good vibe. Everybody is very optimistic and we’ve all been in it long enough to know you don’t want to get too high or too low and at this point it’s just keeping all the horses injury-free and just keeping them on that forward motion and keeping them on track for May 7th. I’m still in California. I think I’m going to go this afternoon. I was planning on going Thursday but I can’t help myself. Everything is going good here in Southern California and so I think I’ll be at Keeneland tomorrow is the plan. Excellent. Before we get to the media, I just wanted to ask you about the impressions of Nyquist so far. I mean it’s interesting to me that on paper we’ve got what looks like a super horse, an undefeated champion but when it comes to the Derby everybody wants to be a contrarian and be more clever than the next guy, so I’d just like to get your take on whether he is or is not getting the respect that he deserves given what he’s accomplished, and then maybe secondly whether you even care about all that. You do. I think I’m guilty of being a contrarian too. I think that’s the beauty of all sports is that you can always find a reason to knock a favorite or knock a team or a horse that’s on a current roll. That doesn’t bother me. It does bother me when you read an article and they’re knocking him; it’s like they’re knocking your family member. But no, I think it’s great. Whenever you line 20 of the best 3-year-olds from around the world, I mean you really don’t necessarily have to be the best horse but you’ve got to be the luckiest horse because a lot of these horses you’re splitting hairs on talent level. There’s so many talented horses and Nyquist has been fortunate enough to hit the wire first in all seven of his starts and we’re optimistic he can keep it going. Does any of that optimism come from the work at Keeneland on Saturday? I mean he worked in company with Ralis and just tell us what you feel like he got out of that effort. You know, I really liked what I saw. Even going into the Florida Derby when we breezed him 5/8ths and he went 1:03 and change and I had a lot of people say, “How could you go 1:03 his last work before one of his biggest races to date?” what was the Florida Derby. The way we have trained Nyquist, it’s really been more of a lot of strong gallop. His works are such that he’s galloping strong going into the work, he’s galloping out of the work, so not really looking for any speed work. Again, a great horse like Nyquist and some of these others, you could train them probably 100 different ways and they’re going to win despite you. I think what we saw the other day is kind of what we’ve been seeing all along so we are very happy with where we’re at. Our first question will come from Danny Brewer of horseracingscoop.com. Please go ahead. Danny Brewer: What do you think has been the key to finding this training happy place for Nyquist? I think the key has just been keeping him happy, like you say. Letting him put his feet where he wants to put them and just I think probably a lot of it goes to Elias, his groom, who’s just such a great horseman but he’s so kind and quiet in the stall with him and I think that really helps Nyquist build his confidence, and then Johnny Garcia is just like LeBron James at the end of the game. He’s got ice in his veins and he does all the right things on his back every day and that’s been a huge help. Again, I think Nyquist is just a very special horse and we’re doing one thing with him but you could probably do about 10 other things with him and you’ve still got an amazing horse. Confidence in him and the whole team obviously has been a big key to getting to where you’re at right now. I think so. We’ve got a real positive vibe around the barn and like every other barn things, don’t always go right on a daily basis and we all have enough experience and enough confidence in each other that we make adjustments and we just try to react according to things. I think a large part of Nyquist’s success has just been the positive team surrounding him and led by Elias, of course. When does he go to Churchill? The plan is for him to work Friday and have him work well, come out of it well and then go Saturday. Awesome. Outstanding. Hey, wish you the best of luck, Doug. Looking forward to seeing you. You too brother. Take care, Danny. Thanks, man. Thank you. The next question comes from Art Wilson at the Southern California Newspaper Group. Please go ahead. You had that small health scare with Nyquist a few days after the Florida Derby. Songbird, the Oaks favorite, got knocked out of the Oaks because of an illness. How stressful and worrisome is stuff like that for you as a trainer? You might have the Derby favorite one morning and then the next morning you show up at the barn and he’s out of the race. How stressful is that for a trainer? It is. It would be like having a manager having Clayton Kershaw and you’re so fired up and then he gets hurt and you look down in the bullpen and you’ve don’t got anybody left down there. Yeah, it’s one of those—and I can’t stress this enough and I tell the team that’s why we never try to get too high, at least in public, and never try to get too low when things happen because just injuries happen in sports and you’ve just got to be very lucky to keep a horse healthy and injury-free as you move forward in a direction with a horse like Nyquist. So, you know, having the five weeks from the Florida Derby to the Kentucky Derby, we really like that because we thought if we had any hiccups we had time to get him right. Like you say, having that little—what it turned out to be just kind of like a little shipping fever for him so he didn’t really set us off track a little bit but we ran some antibiotics through him and made sure his blood was perfect before he went back to the track. It is. I’d be lying if I said every day you don’t kind of walk down the shed with one eye open, one eye closed, especially the longer you’re in it and the more you see, the more nerve wracking it can be. But, you know, we’re very optimistic with Nyquist that we’re heading the right way. The Derby with it being normally a 19-, 20-horse field, the distance, the fact that it’s still early in the 3-year-old year and the horses are still inconsistent, I had a European trainer tell me once he thought the Derby was the toughest race in the world to win. Would you agree with that? Yeah, I haven’t ran anything in Europe but for him to say that I respect that. It’s definitely the hardest race to win in the US I think because of just like you said. None of the horses in the field have run that distance yet, none of them have faced that many competitors, so there’s so much goes into it luck-wise. You know, you have to have a clean trip and then even if you get a clean trip you’ve got to have a horse that can go a mile and a quarter no matter what time it is. It’s phenomenal to get these guys to still be running on through the lane in a race like that. It is very challenging and what I love about Nyquist’s chances is he’s won from the rail, he’s won from the 12-hole, he’s won wire-to-wire, he’s won from just off the pace. To me, he’s got enough—Mario can call audibles as the race unfolds if it doesn’t “unfold perfectly” and I think that really is a big benefit in this kind of race. The next question comes from Debbie Arrington of Sacramento Bee. Please go ahead. Hi Doug. Thank you so much for coming on this morning. Are you feeling any sort of déjà vu after your experience with I’ll Have Another? That’s a great question, Debbie. Yeah, you do feel like—well I hope I have the same ending as I’ll Have Another, at least the first two legs. But yes, you do feel after an I’ll Have Another experience like, “Wow, that was so incredible. I hope I soaked enough of that up because I don’t know if I’ll ever have another horse like that.” Now with Nyquist trying to fill those shoes, it does get to a point where in an ideal world you’d love to slow things down and really soak up every bit of brilliance of him because you know how unique it is to get a horse like that in your barn. It’s I think a little bit more enjoyable this time because we’ve been there before and we can kind of soak it up a little bit more, but yeah, there’s a little déjà vu there. With the horse, is there anything about Nyquist that reminds you of I’ll Have Another? Well, I guess with every good horse – and these two have that in common – is that they thrive on competition. They thrive on attention and so that they have in common. I think Nyquist has displayed a lot more level-headedness than I’ll Have Another. I’ll Have Another was a little bit of ‘let’s go and let’s do it now,’ and where Nyquist is more he’ll wait for Mario’s cue to go. That’s an added bonus really. Both of them, if they were in theater they’d both be the lead actor. They’ve got that kind of quality about them that they’re very confident with themselves and they enjoy all the attention. Is Nyquist an easy horse to work with? He is. You know, early on—he’s never been stuttish but he could be a little tough, but again, I think just the day in, day out of hanging around Elias, Elias would be great with any animal or any human. If you knew anybody that was a little bit cranky and they hung around Elias for a couple of weeks they would calm down because he really is just a quiet, gentle soul and I think to Elias’s credit we’ve seen Nyquist mature mentally very quickly and he just continues to get more mature mentally and physically. So, just very happy. The next question comes from Terry Keith of City News Service. Please go ahead. Good morning Doug. I have a two-part question for you. One is whether you feel pressure having the Derby favorite, who’s been the Derby favorite for quite a long time now? The second part of it is if you can discuss the level of horses that have come from California to the Derby in the past few years. The first question, do I feel pressure, I normally shake all the time every morning so that’s totally normal. No, of course. As much as you might say you don’t feel pressure, it’s a good pressure though. I think I look at that I’d rather be the Derby favorite than a horse that just barely snuck into the Derby, so very much a focus on that fact that we’re so blessed to be the Derby favorite as we speak. As far as horses coming from California, I think our big edge here in California is just the weather. It’s so beautiful every day, so everyone trains whether you’re a $10,000 claimer or a Grade 1 horse. Everyone trains every day and I really think for the most part that California horses are just a tad more fit than some other horses. That’s the only reason I can see because the horsemanship back East and down South and all over the country is top notch so it’s got nothing to do with that. I think it’s got everything to do with how we’re able to train every day. The gentleman at Santa Anita, Denis Moore, who handles the track, really keeps a good cushion on it in the morning so horses not only do they get to train every day but they get a lot of fitness over that track at Santa Anita because of the cushion he keeps on there and they horse has got to work a little bit to get through it. I think that’s what helps. The next question comes from Dana O’Neil of ESPN.com. Please go ahead. Doug, along the question about the pressure, I mean obviously on the heels of what American Pharaoh did last year, the general public perhaps is paying a little more attention to the first Saturday in May than before. How do you handle that additional pressure knowing that there’s sort of another audience that might be exposed to this sport and Nyquist could help even carry that further? God, I want to be—I want to make sure Nyquist and our whole team represents this great sport in a proper way, and so I don’t know if it’s pressure as much as it is—I think it’s a great opportunity for all of us in the horseracing world to take advantage of what American Pharaoh and his connections did. I mean he took horseracing from the back page of the sports section, sometimes not even covered in the sports section, to the front page of the sports section. I look forward to having Nyquist be on the front of the sports section. I look forward to it being a real positive, good story for a great business that there’s a lot of great people in. I’m excited about the possibilities of us following up the great year American Pharaoh had. Have you noticed anything since then? Just, you know, people paying more attention. I don’t mean obviously people who know this sport well but just general public people. Have you had any experiences that make you think that things have changed? Yes. Where I live it’s kind of a beachy town and horseracing really isn’t on the tip of anybody’s tongue around here and a lot of people because of American Pharaoh, last year they were constantly asking me, you know, “What do you think? Do you think Pharaoh is going to win?” Do you think this and that, and that was really cool because I never thought I’d see that day. Now of course they’re all excited about Nyquist. It is definitely just the average person that glances through the sports section, listens to a little bit of sports talk radio, they now have heard a lot about horseracing in the last year, year and a half and that’s a credit to Pharaoh and hopefully Nyquist can carry the torch farther. The next question comes from Richard Rosenblatt of Associated Press. Please go ahead. Just a quick question on the influence of Uncle Mo on Nyquist and what you see in any of those similar qualities? If you could just talk on that, that would be excellent. Yes. Uncle Mo was a brilliant race horse that his career was cut short but he won the Breeders’ Cup Juvenile and he had worlds of talent. I think we’ve seen a lot of the Uncle Mo offspring have shown a lot of talent as well and not having personally been around Uncle Mo I’d have a hard time comparing the two but, man, he was just a flat out, grade one racehorse and it sure looks like his offspring are catching on just like pop. I was not, no. Go ahead, sorry. When the purchase was going on, was Uncle Mo a consideration because of any reason, or he just stood out? You know, my brother Dennis who picked him out for Paul Reddam, really just loved the individual. He loved the way he moved and he picks out athletes that way and then the pedigree is secondary. But once he fell in love with him as an individual, the Uncle Mo was just a huge added bonus because of how good he was. The other Uncle Mo’s were really looking good in the sales too even though none of them had run yet, but there was definitely a buzz about Uncle Mo and how his babies were looking like runners, but you never know until they run. Fortunately, we jumped ahead of the hot Uncle Mo train. The next question comes Paul Mazur of ChicagoNow. Please go ahead. Thank you for taking my call. Question for you, Mr. O’Neill. Shifting directions to the Kentucky Oaks, along with your winter book favorite Nyquist, you’ve got a good horse in there in Land Over Sea. Talk about her. What are your shipping plans for Land Over Sea? Thank you, Paul. Yes, Land Over Sea coming off the bit win at the Fairgrounds in the Fairground Oaks, she’s doing really well and we’re penciling her in to ship in to work on Friday as well at Keeneland and then have the work go well, have her come out of it well and then she due with the rest of the barn to go to Churchill on Saturday. All right. How has she progressed from her win in New Orleans to her work on Friday? She’s really progressing well. This is a filly that ran well first time out as a July 2-year-old and here we are late April of her 3-year-old season and she’s just a bigger, stronger, mentally tough filly. Not having to knock heads with Songbird with who she did five times in a row there and getting out of town to the Fairgrounds and getting away from Songbird, it worked there so we’re hoping as Songbird recovers and doesn’t run in the Kentucky Oaks we can follow up the Fairground Oaks win with a Kentucky Oaks win. The next question comes from Ron Flatter of RSN Australia. Please go ahead. Doug, I suppose the only thing more wrong than handicappers on Derby week is the weather forecast, but it does show a lot of wet coming up next week. Did Nyquist show enough to you with the slightly off track at the Florida Derby to keep you from worrying about that? Not at all. You know, we joked on Florida Derby day, my son was with us and Paul Reddam, who’s a big kid at heart, was goofing around with my son that the track seems better when it rained there at Gulfstream than when it was drying out and kind of loose, so he had my son do a little rain dance and it was pretty comical because within minutes it started raining. It didn’t look like it was going to. No, he’s just so well balanced, he’s so sure-footed that I don’t think the ground will matter a whole lot. But I think a little bit of wet track and uncertain conditions for others would actually maybe be a benefit to us. I don’t see wet or dry of it being a problem. Wet or dry, do you think your chasing Danzing Candy and Outwork? Do you need to be close to them or try to get with them in any kind of a speed battle? That’s where Mario is so good. He’s so confident and he gets along so well with Nyquist that I think a lot of it will depend on post position, a lot of it will depend on how all three of us break, and there may be even a couple in there that change up their form and try to send (phon). Having a long run to that first turn there at Churchill, I think whether you’re in the 1-hole or the 20-hole if you’ve got some gate speed like Nyquist does you can kind of make some adjustments and just really want to be in a good position and just kind of play it by ear. Finally, I know that this isn’t exactly the foremost thing on your mind but with the Detroit Red Wings out of the playoffs, have you heard that Gus is going to show up for the race? That would be so cool if he did. The little bit I know is that Gus doesn’t know much about horseracing so he even referred to the races as, “How’d he do in that tournament?” So calling a race a tournament definitely tells you he doesn’t know much about it, but I know Paul has just always been real—he’s really admired Gus’s class and his perseverance and hard work on the ice and that’s why he chose to name him after Gus. I think they have touched base a couple of times and I’m sure Paul and Zillah Reddam have invited Gus Nyquist to the Derby and it would be great if he’s not away on holiday, it would be great to have him there for sure. Our last question comes from Tim Wilkin of Albany Times-Union. Please go ahead. Hey Doug, I’m sure that you’ve watched some of the other preps and you know about all the horses that Nyquist will be facing a week from Saturday. What gives you the confidence that you’ll be leading the best horse over to the Derby on that day? Well, just that I don’t know much about them but I know a lot about Nyquist and so just the horse that Nyquist is I think that gives me the optimism that we’re leading the best horse over. I think his speed out of the gate and his stamina he has shown in all his races also gives me the optimism and the confidence that we’re leading the best horse over. But it is a quality field, a very evenly matched field and we’re going to need a lot of things to go our way to get it done but I’m optimistic. Doug, how often do people come up to you and basically are anointing Nyquist as the Triple Crown Champion in lieu of what happened last year with Pharaoh and what he’s done already this year? If that is happening, does that bug you? Not at all. But it’s funny, I was in Charles Town the other night. The people in Charles Town just love horseracing and they were so nice. I had so many people come up to me and I had one particular guy come up to me and said, “You won’t believe this. I got a bet down a few weeks ago in Vegas on Nyquist to win the Triple Crown.” So I’m thinking he’s going to say he got 100-1, 200-1, something. “I got him at 15-1. Do you believe that?” I was thinking to myself, “Fifteen to one? They’re robbing you there, mister.” But it was pretty cool to hear his love and passion and respect for Nyquist and it didn’t shock me that Vegas was given out such poor odds. Do you get a lot of that from people? Coming up and telling you stuff like that? Yeah, probably a handful a week. Yes, I do get it. It’s cool and I love it. Any time you’ve got a horse in your barn that people don’t know you, they don’t know the horse and they just are fans of the horse, God, you feel so blessed. I love it and hopefully horses like Nyquist and these other great horses that are in the Derby can bring some new fans to the table and we can show people how amazing these horses are. I’ll turn the call back to Mr. Mulvihill. Please go ahead. All right. Doug, thank you so much for your time and safe travels to you. We’ll see you here in Kentucky. Sounds good. Take care. Thanks a lot. All right. Doug O’Neill, always amenable with the media and we certainly appreciate that. Now, certainly just as generous with his time this spring has been our next guest and that is Kiaran McLaughlin, trainer of Mohaymen, the Fountain of Youth and Holy Bull winner who was undefeated until his meeting with Nyquist in the Florida Derby. Mohaymen was fourth in that race but he posted a nice bullet work at Churchill just last week and that made his last Gulfstream effort all the more puzzling so we’ll get to ask Kiaran about that. Mohaymen of course will still be among the top choices in the Derby based on his dominance in those earlier Florida preps. Kiaran, you’re on with Jim Mulvihill. Thanks for joining us again. Tanks for having me, Jim. Absolutely. First, I think we should recap the Florida Derby. From my vantage point you all made the only serious run at Nyquist and it was pretty clear that they carried you wide into the stretch. Even though you finished fourth in that race, to me it’s still the second-best effort in the race, so I’m curious how you assessed the result of the Florida Derby and looking back on it what you think on the effort that day. Well, we’re going to draw a line through the effort. Even though he didn’t run terrible, fourth was disappointing for us who didn’t think he could lose. But I think the trip, the day was a hot, humid day, rain, track was wet. I think he handled the track okay, it was just the distance traveled and where he was in the track might not have been the best part of the track out in the middle, but Nyquist beat us fair and square and had to run over the same track. So we’re going to draw a line through it and say, “We’re better off now than we were then,” and we hope we can rebound from the rain. Sure. Now you move to a new track at Churchill Downs, so with that strong work last week was that a relief to see how well he went over the Churchill Downs surface? Well I have said this the other day and I’ll say it again for everybody listening. He’s had two bad minutes in his whole life. He works great all the time. He trains fabulous. Everybody is getting to see what I see every day. The track is a little quicker here I think. Palm Meadows is pretty deep so we anticipated him working fast. He’s had 47 in a couple of few times at Palm Meadows, so we thought he might work faster. But he’s just a special colt, does everything right and had two minutes that wasn’t great this year, that’s all. All right. Let’s open it up to the media. Michelle, you want to see who’s got a question for Kiaran? We’ll take our first question from Danny Brewer of HorseRacingScoop.com. Please go ahead. How do you make the only bad two minutes of his life into a good thing on May 7th? Or can you? Yes, I think we can. Like I said, I think 54 feet traveling further than Nyquist and where we were on the track, it was very wet out there. It might not have been the best place to be early in the day. Todd Pletcher had a 4-5 shot in the Oaks. They kind of ran the same spot and took the lead turn to home and then backed up to be third, and there weren’t that many dirt races that day. I just think that he can rebound and we can rebound and I think we can turn the table. Obviously from his work at Churchill, that had to be extremely encouraging that he really is the horse that you’ve always thought he was. Yes, it was a little bit quicker than we normally like to see but he did it well within himself and he’s going to have another work Friday or Saturday and I think it’ll be similar; not hopefully 46 and 4, maybe 47 and 4. Yes, he’s a very sound, nice special colt with a great line and I think that’s a big plus on the day. He will be switched off and quiet like he always is in the paddock and that’s important because it’s an hour and a half from the race before the Derby to the Derby so the horses can get stirred up and worked up walking over and he won’t, I don’t feel like. Thank you. Our next question comes from Art Wilson at the Southern California Newspaper Group. Please go ahead. Yes. Kiaran, these horses are so fragile with their health and their soundness and we had that kind of pointed out to us when Nyquist had a small hiccup after the Florida Derby, and of course Songbird has been knocked out of the Oaks. How stressful is it for you as a trainer to have to wake up each morning and just kind of be on pins and needles with the health and the soundness of your horses? Well, it’s definitely an issue at all times. It’s out of our control, so much of those issues, but luckily this horse is very, very sound and has not hitch. He does everything right. He’s perfectly sound. But that doesn’t prevent a temperature or a cough and you have to worry about that every day. With this racing being normally a 19, 20-horse field with the mile and a quarter distance, the fact that the 3-year-olds it’s early in the year and they’re still kind of up and down a lot of them, I had a European trainer tell me once that he thought the Derby was the toughest race in the world to win. Would you agree with that? Yes, I would. It’s tough to ask them to go a mile and a quarter first Saturday in May, and Mohaymen’s birthday is May 2nd, so he’s not even three years old yet. But the distance should not be a problem for us and he moves great. No wasted motion and does everything right, so we feel confident that we’ll get the distance. The next question comes from Tim Wilkin of Albany Times-Union. Please go ahead. Hey Kiaran, how long did it take you to—or maybe you aren’t over it yet—to get past the Florida Derby and the effort Mohaymen threw in there? It’s take a lot of time to get over it but I’m not one that looks back. We’ve got to look forward and we’re happy we have a sound, nice horse out of the race that can move forward to the Kentucky Derby. It was a bad day that day for us but we had some reasons for it; we felt like it. Now he’s training great and doing well and know that it’s just we’re happy if we can get in the starting gate next Saturday we’re all set. I know there’s a 20-horse field but how much are you looking forward to the chance to run against Nyquist again on the big stage? Well, it’s not just Nyquist, you know. There’s 18 others that we have to worry about and hopefully we can turn the tables on him but he’s a very nice horse and nobody beat him yet so he’s probable and likely and should be the favorite, but hopefully we can change things around. The pace of the race is important and there’s seven or eight very nice, deep closers and we’re in between the speed and the closer so hopefully it sets up well for us and we draw a good post position. Kiaran, did Mohaymen show you anything in the Florida Derby that would suggest how he would be able to do on a wet track, even wetter potentially as we’re seeing the forecast for Churchill next week? Well, I thought he would actually love a wet track with just his make-up and his speed and everything in his pedigree, but obviously he didn’t relish it. But again, where he was on that track that day might not have been the best of the footing for any horse. This is a different track and if it’s raining I think he will handle it fine. Not looking forward to finding out. My forecast says 20% rain so hopefully we don’t get a wet track because I think a couple of them do move up in it as in Exaggerator or Nyquist. The next question comes from John Pricci of HorseRaceInsider.com. Please go ahead. Good afternoon Kiaran. If we could get back to the Florida Derby for a moment. We all kind of understand the (inaudible) slipping on the track really rang true, at least to me. My question concerns pre-race. As you mentioned, it was a hot, heavy, muggy, almost a summer-like day in Florida. Most horses were a little warm in the ring including Mohaymen, but to me he just didn’t seem like he had the same energy pre-race that I saw before, and frankly after, both the Holy Bull and Fountain of Youth. I mean he seemed very low energy in my opinion. Can you speak to that? Yeah, a few people have said that to me, he looked like he was half asleep in the starting gate. He’s very quiet and he does everything properly. He doesn’t get hot and bothered ever. I mean it was hot that day; he might have got a little bit warm but he’s really good mentally. If there were anything like that with him being quiet and energy level not high, I didn’t really see it, until after the race he seemed pretty quiet but he didn’t have any issues. No temperatures, blood was good, everything was good, so we’re moving on and going to just draw a line through that race. Okay. The only reason I mentioned it, again, pre-race before the other two preps you could see that. I don’t know what (inaudible) but I thought I saw it and I really didn’t see that on Florida Derby day. That’s why I thought maybe he was less energetic than he had been in the past and maybe the weather, that was getting to a lot of people including myself, got to him a little bit. Yes, I would think it did and we hope that he is back to himself. He was shortly thereafter the race. He’s doing great, no issues at all. The last question comes from Debbie Arrington of Sacramento Bee. Please go ahead. Hi. Thank you Kiaran for coming on today. We’ve been through the final four, so to speak, stepping up to this Derby. What do you think of the Class of 2016 and who do you think are the horses to beat besides your own and Nyquist in the Derby? It’s a good group. It’s hard to ever analyze all the 3-year-olds early in April and May. There’s a lot of nice horses out there. There’s some really nice serious closers and there’s some speed horses. I think that Destin is a nice horse, Nyquist is a nice horse. If we get rain, Exaggerator is tough. You know, I think there’s—Steve Asmussen, both of his horses are doing well. There’s a lot of nice horses in the race and we just hope we draw a good post and have a good trip and everybody has a safe trip. Number 1 and 20 aren’t ideal post positions but after that it’s not that big a deal for everybody. What I was going to ask is if you could have the first pick of a post, what would it be? Ten because they load two at a time and the 10 goes in last with the 20 and we’re in the middle of the pack. But 10 to 16, anywhere in there would be the best. I will now turn the conference back to Mr. Mulvihill. Please go ahead. All right. Kiaran, thank you so much for coming on. We’ll look forward to seeing you at Churchill Downs next week. All right. Kiaran McLaughlin, a frequent guest on our calls the past couple of years, between Frosted and Mohaymen and we certainly appreciate his time. Now we’re delighted to welcome in the newly elected soon-to-be-inducted Hall of Fame trainer Steve Asmussen. Steve is the second leading trainer of all-time, first among those that are active. He’s won two Eclipse Awards as outstanding trainer and managed three straight Horse of the Year winners between Curlin and Rachel Alexandra. This year he’s got two of the top Derby contenders between Gun Runner and Creator, the Louisiana Derby and Arkansas Derby winners, respectively. He’s also got four fillies for the Oaks, a race he’s won twice before so maybe we’ll get in a few questions about his Oaks fillies as well. We saw Steve the other day at his barn after his Derby and Oaks contenders worked; that was yesterday at Churchill Downs, and he did mention that he would be coming from a meeting in Lexington which is why we elected to have him on last. Thanks for joining us. I know you had a busy afternoon so we appreciate the time, and congratulations on the Hall of Fame, a very much deserved honor. Thank you. I’m very proud of that. It’s a great call to be able to call parents up and tell them that they raised a Hall of Famer. They’re very excited about that. Excellent. Before we get to the Derby horses, a little bit more on the Hall of Fame. Would you mind telling us how you got the news and what your reaction was in that specific moment? I had a missed call and then I received a text and returned a call and was told that I had had enough votes or was elected into this year’s class. What an honor to be able to go in the same year as Rachel Alexandra, as much as she’s meant to my career and what a special mare she is. They’re coming together in a beautiful way. Very good. For those that don’t know, trainers become eligible for the Hall after 25 years with a license. So when you think back on more than a quarter century and the progress of your career, what comes to mind when you think of all those years? It’s very unique in our Hall of Fame that you’re still an active participant when it’s being voted on. I personally just feel like we’re in the middle of this and we’ve got a lot of great things left to do but it is a reflective moment in some of the accomplishments of the barn that have been made possible just by some outstanding people with a tremendous amount of talent and a great work ethic. Just very proud of the whole staff and the barn and how much that they have done and to be recognized on this level is an amazing honor. I do think that hopefully we can learn from what we’ve done and continue to do good going forward. But the timing of it being the announcement coming 12 days before the Derby when we have two excellent chances we feel going in is very exciting, but obviously you feel like there’s a lot less to accomplish. Very good, and let’s talk a little bit about those Derby horses. I’m sure we’ll have more questions from the media about the Hall of Fame but maybe starting with Gun Runner. We had David Fiske on this call a few weeks ago and he talked about the confidence that you showed in Gun Runner, starting his year off in a Grade 2 race like the Risen Star. So, could you just tell us what were your expectations for a horse of Gun Runner’s quality coming in to 2016? I think you talk about coming into 2016, 2015 Gun Runner, a tremendous pedigreed horse at the time was in the Niall Brennan Consignment at the OBS March. Dr. Lambert identified, pointed out Gun Runner. Obviously loved the horse pedigree-wise; physically, actually had put in a very good move during the breeze show. Inquired with Mr. Winchell and David about the possibility of purchasing, at the time Three Chimneys owned him as well as I believe Besilu continues to own a small percentage of him or some percentage of him. We were able to put that deal together where Three Chimneys stayed in on him and it’s been a great partnership. But he came into the barn with extreme high expectations and the horse has fulfilled all of them, from every breeze, every gallop, he has been the horse that we were hoping that he was. Broke his maiden in September at Churchill in good fashion over a mile. I thought he ran an impressive other than at Keeneland and then the race in the Kentucky Jockey Club where he was fourth I think the form going into and coming out of that race obviously makes it quite obvious of the quality of horse that he is. That is what the basis of our confidence for him starting off 2016 in s graded stake was. He’s always been at a very high level and shown a lot of talent against top class horses. The Louisiana Derby turned out to be a pretty quality race this year with the horses that he beat but not only did he win, he really dominated that field and seemed to even have a little extra kick there when Tom’s Ready was making up a little bit of ground. Just talk about his effort in that race. I think that we feel that those are, both the Risen Star and the Louisiana Derby are building blocks to where we are today with him. Pedigree, just an outstanding pedigreed horse being by Candy Ride out of a graded stakes winning Giant’s Causeway mare that just happens to be a half-sister to Horse of the Year Saint Liam. Everything about his pedigree suggests he will get better with age. I think we are seeing this. That’s why we did collectively choose the two prep beginning of the year before the Derby to allow for his physical development, but I think the talent has always been there and we do know that we will have to run faster in the Kentucky Derby than we’ve run this year, but we feel that we are set up to do so. Excellent. Steve, I’m going to open up the floor to the media and we’ll get some questions on Creator and I’m sure a little bit more on the Hall of Fame. You’ve had two horses in the Derby four other times but this may be the best two horses that you’ve had coming in. Would you agree with that? No. Curlin is the best chance I’ve ever had at anything every day, you know, but I do think that we’ve learned from those experiences and we’ve put ourselves in a better position coming into this year’s Derby. When you’ve got two horses of this caliber, a Louisiana Derby winner, Arkansas Derby winner, as a Hall of Fame trainer, is that where you really earn your stripes because of handling the pressure of not one but two like this? Pressure would be if you weren’t good enough, the horses weren’t fast enough. Right now, watching the works yesterday that they put in and how they came out of it, I’m just extremely proud of the whole team for the physical condition and the mental shape that they’re in going into the Derby. I think that is our responsibility and what we have control over. How fast the competition is or how fast they are actually as individuals is out of our hands, but I think that we are at our best when it matters most. That still may not be enough but that is still where our responsibility is and what has us so excited about this year’s running of the Derby. Steve, whether the weather forecasts are accurate or not, there is a fair amount of rain showing up in next week’s forecast. Both of these horses have not only run in the rain but have run in the rain at Churchill. How big of an advantage is that? I do feel very comfortable about them training at Churchill. Both of these horses spent a lot of time here last summer and last fall and I really have seen that with Gun Runner shipping from the Fairgrounds as well as Creator shipping in from Arkansas. They went to the track. They’ve known where they’ve been, been very comfortable, very relaxed in their stall. I think it’s been a very positive experience for them off of their last race and it needed to be. We were able to stay on schedule with our works, with what we thought we needed to do. I thought it was very seamless, their arrival into Churchill and then going to the track on their normal schedule. That both horses are very athletic and I don’t think that the going would ever be an excuse for either one of them because of how they both move over the ground. The fact that Gun Runner tends to be near the lead and that Creator is a closer, does that make it easier for you to set up the race with your jocks or does it make any difference whatsoever? It’s an excellent conversation for us on what we—when you imagine a race you work out a scenario in your head which is favorable to you and how you would want it to unfold. I feel very good about how sharp or how much life Gun Runner is showing and he’s always been a very handy horse so I think he’s capable of attending the pace or at least not letting it get away from him in that regard, even though I believe that it’s obvious a couple of horses have a better quarter of a mile than he does. Creator, out the back the last couple of races of his has been very confident off of his Arkansas Derby win, so I do think that we will have a few more options with Creator than we’ve had in the past. I do believe that the horses are a complement to each other. Thank you Steve and congratulations again on the Hall of Fame. Thank you. The next question comes from Art Wilson of the Southern California Newspaper Group. Please go ahead. Steve, as the caretaker for these horses, not only do you have to devise the right training schedule but you also have to spend a lot of your waking hours worrying about their soundness, if they come up with any illness or whatever. How stressful is that for you as a trainer to have to worry about these horses and how fragile they are with their soundness and their health? The Songbird situation is extremely eye-opening to us and we realize how fortunate we are to be in this position and that nothing’s a given. For a dominant filly like her to be eliminated from this opportunity over a temperature, as you mentioned shows how fleeting or fragile or how unique the opportunity is. I’m a pretty positive thinker. Expect everything to work out but as I mentioned earlier in the call, the thing I’m the proudest of is the condition in which these horses have arrived to this date. I had a European trainer tell me a couple of years ago that considering all the different factors in the Kentucky Derby that he believes that it’s the toughest race in America to win, or in the world to win. Would you agree with that? It has been for me. I think you work at this you think of the scenario which is favorable for each horse but you realize how you can be eliminated. It’s quite obvious if there’s not much pace in the race, it eliminates Creator’s chance. If Gun Runner is eliminated in the first quarter of a mile being run over, you know, there’s so many things that can eliminate you from an opportunity to run your best race. You go in there in the best shape you can be, wanting to run your best race and then you’re really hoping that you get the opportunity to do it. Okay. Best of luck and congratulations on the Hall. Our next question comes from Debbie Arrington of Sacramento Bee. Please go ahead. Hi Steve. Thank you so much for coming on the call this morning. Congratulations on your Hall of Fame vote, your induction coming up this August. After all the criticism of your barn over the last few years, do you feel vindicated by this Hall of Fame vote? I feel very good about all the support, the continued support we had from within, from the people that knew us. It’s very special for people to stand up and reassure us that that they believed in us and allowed this to be in the position we’re in this year, so soon from such controversy. Well deserved. You’ve alluded to the Derby being elusive for your barn. You’ve got two great shots with these. What gives you the confidence that this might finally be the ones? These two individual horses are very special and they just personality-wise, ability-wise. Creator’s just blossomed before our eyes. To think six times to break his maiden, just had ability, kind of raw, not a lot of focus, just to watch him train over the last month, five weeks from the colt that was here last fall, it’s very exciting. He’s got a sense of direction, a sense of purpose, a sense of calm about him that he didn’t have previously. His focus is coming in at the right time. Just like watching his work yesterday, nine days off of his race, he went away from the pole willingly, very responsive to the rider. This isn’t the horse, that was not what he was showing us last fall and for him to be improved from a mental aspect so much, it’s exciting. Then Gun Runner’s work, I thought 12 and 1 here at Churchill after the break, out in 39, very few horses are capable of doing that. It just, that separates them and that has us excited and a great amount of confidence. You can see how they’ll rest in their stall, eat up. It’s not overwhelming to them. It puts a smile on everybody involved on our face and makes us feel good about our chances. You can dream of a scenario, pace scenario, race set-up scenario which would favor either one of them that would allow them to win. I think that every year if defined by what they get done after this. Street Sense, Curlin, Hard Spun’s year, I think the fact that that year they went on and every time they ran against older horses they beat them. How dominant they were through the end of the year, you look back and say you always knew it, but I think all of us in horseracing are considerably better handicappers after the race runs. Good afternoon, Steve. Kudos on your induction and for winning those two preps coming into the Derby. Well done, sir. These guys are coming in great and they’re coming in different ways that from a historical perspective that makes you ask these questions. I’d like you to also talk about the few lengths. You said Gun Runner needs to get faster. How many lengths are you going to give us a week from Saturday? But also from that historical perspective, we’ve got Creator coming in off three weeks off the race of his life and you have another one, Gun Runner, coming in off six weeks, which historically nobody’s done that. So does that figure into your plans? Does that bother you? Does it give you pause at all? Pretty much by design. Gun Runner, I thought that the ability level that he showed last year was in the realm of the classics. With the Kentucky Jockey Club, Airoforce the winner of the race coming right out of the Breeders’ Cup at Keeneland, you know, more spirit than what he had done immediately afterwards Hollywood Futurity. Mo Tom, it was a very good running of it and I thought that that was a good parameter of this 3-year-olds crop and as good as they were going to be, and felt that the spacing of the Louisiana Downs, or the Fairgrounds races at Louisiana were appropriate to allow him to physically develop. I think from a pedigree standpoint he is a horse who being out of a half-sister to Saint Liam by Giant’s Causeway that a little age will improve him tremendously and with being able to win at the Fairgrounds which has always been an excellent surface, having two races, plenty of spacing, not too much travel, it allowed him to physically develop. But I thought in the last year that he signaled that he was of this caliber and just felt that the two races at the Fairgrounds and the spacing of it allowed for him to develop physically to be at his best now. After the Louisiana Derby, speaking with Ron Winchell as well as Mr. Torrealba, we were talking about how he’s coming our way and Ron said, “Will he be where we want him to be in six weeks or six months?” Well we’re 11 days from finding that out. I think that the horse identified himself last fall as this caliber. It was much easier to plan with it, whereas Creator has earned his way and I think that the focus that he has shown through his last three races is quite obvious compared to his previous races, and he is getting better at the right time. Well that he is. Neither one has taken a backwards step recently and that’s why you deserve congratulations on the two prep wins. Have a safe trip a week from Saturday. I appreciate it and it will be needed. Thank you. The next question comes from Tim Wilkin of Albany Times-Union. Please go ahead. Hey Steve, in Creator’s case, when he started his 2016 he had three races in 36 days then after the Rebel he had almost a month until the Arkansas Derby; we all saw what he did in the Arkansas Derby. With added time off to Churchill, the Derby, do you expect even a bigger performance that he could give you with more rest? I would have been hesitant to answer that question until yesterday’s work and I thought that he showed a sense of direction and willingness that was the best I’ve seen from him yet. Obviously, Elliot was over for his work and we definitely like the signals that Creator is giving us. He did have a significant amount of racing early but I do feel that a one run, a late-running horse running 3/8ths last quarter of a race, it doesn’t seem to take as much out of him physically as a pace attendant or a horse that’s just in there battling the whole way around the race. I do think that he has improved his focus as well as his finishing his races and that has allowed him to be in the position we’re in today. I know you’ve talked about how you are on these horses but do you think they’re coming into this race a little under the radar? No. I thought yesterday’s works put them on everybody’s radar because they see the physical condition in which they are in and know that I think it’s obvious they have not done anything previous to today that would be good enough to win the Derby but with where they’re at physically and mentally their best is ahead of them and we’re just hoping that it is in 11 days. The next question comes from Tom Jicha of Sun Sentinel of South Florida. Please go ahead. Hi Steve. Congratulations on the Hall of Fame. Could we talk a little bit about the Oaks? With Songbird out there are reports you might run four or five. Is it fair to say you wouldn’t have been considering that many if Songbird was still in? And as someone who has really raced what most—either against or a circuits where the others have run, could you just analyze the field? Who are the fillies you feel are the top of the crop? As you mentioned, with Songbird coming out her being so dominant in the division and I think that several horses had learned to avoid her previous to this that—I feel very strongly about our fillies and how we’re coming in. The deletion of Songbird puts us in that position. Of the outside fillies that we aren’t training, obviously I’m a bit of a homer with Rachel’s Valentina, the daughter of Rachel Alexandra and just knowing she’s Rachel’s daughter she would be the most obvious to me. They complement each other in the fact that very different race running styles. With Songbird out of the race it’s just the shape of the race, the pace of the race will not be near as obvious so I think that there will be quite a bit of jockeying to be done there. Terra Promessa is a filly, a Curlin filly who has done very well and developed nicely. She is starting to be more aggressive in her races. See her being somewhat forwardly placed. Royal Obsession, the filly that was second in the Gazelle I think benefits from a mile and an eighth but would be aided from a considerable amount of pace. Taxable is a beautifully bred filly being a Tapit out of a half-sister to Summerly whom we did win the Oaks with. With only three races, how much better she’s going to get I think that there’s a possibility there, but we wouldn’t be considering all these fillies if Songbird was running. Have you had to make any last-minute improvisations because of that? All of a sudden we’ve got a shot at the Oaks now (cross-talk). I think we’re (cross-talk) very fortunate that we stable at Churchill this time of year and they would be here. So it’s not too out-of-the-box. We didn’t send them anywhere they wouldn’t have already been. We just are stabled here at Churchill. The fillies stable here. All of the fillies have run here so we don’t have that variable or obstacle to overcome. The next question comes from Mike Kane of NBC Sports. Please go ahead. I’d like to know how long it took you to reply to the text from the Racing Museum. I got to share it with my beautiful wife Julie who I was with. I was eating lunch with her when I got it and just a very special moment. There’ll be a very nice party this summer with family and friends. You’ve had plenty of exciting high moments. Can you just describe what it felt like to you personally when you were notified that you were going into the Hall of Fame this year? Yes. The Hall of Fame is very special to me because it signifies my family’s accomplishments. My parents and growing up in a racing family, my parents are still very involved with the barn, a huge part of it, and just to have the opportunity to make your parents that proud, doing something that they’ve dedicated their lives to is a very special thing. I’m extremely grateful to all the help and for a trainer and everything that goes into what we’ve accomplished and the position we’re in is dependent upon so many people and I’m just very grateful for that. Selfishly, just the opportunity to make my parents that proud is something I’ve wanted to be able to do. Were there a few tears in that conversation? Absolutely. Absolutely. I’m very emotional about my family. Thank you. I will now turn the call back to Mr. Mulvihill. All right Steve, thanks for coming on the call. We really appreciate the time and congratulations again from everyone here at the NTRA on being elected to the Hall of Fame. All right. Steve Asmussen, he’s going to look for his first Derby win 11 days from now. I’ve just got to say, every time I’ve talked to that man about horses I think I learned something new. A lot of good stuff in there. Thanks to all of our guests and thanks to all you for calling in and reporting on the Triple Crown. I’ll be on-site at Churchill Downs next week so feel free to contact me if there’s anything I can do to help with your coverage, and as a last note, we’ll be back in two weeks on May 12th, that’s a Thursday, for our Preakness preview.